The Stant SuperStat Themostat out performs the Original Equipment themostat. 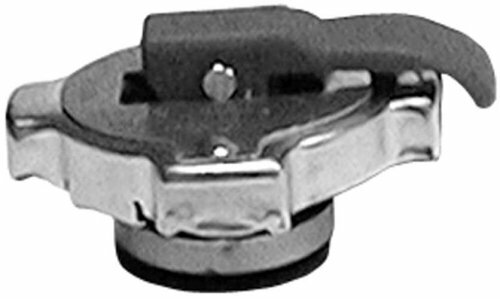 Unlike the OE themostats that continually open and close to achieve the proper operation temperature and flood the engine with coolant, the Stant SuperStat has a patented V-notch, non linear design that reduces cycling by precisely metering the amount of coolant needed. the V-notch provides a small initial flow. As the engine heats up, the V-notches gradually open wider, metering coolant released into the system until the desired engine temperture is reached. The benefits of proper engine temperature control are: efficient engine operation, prolonged engine life, reduced oil consumption, improved fuel economy and improved emmisions. The SuperStat uses a high flow venturi for maximum cooling capacity during high temperature high load operation, and employes a patented Weir Valve, for percision flow metering during cold weather light load operation, to ensure stable temperature control under all conditions.The power element of the SuperStat is comparable to those used in the heavy duty trucking industry. 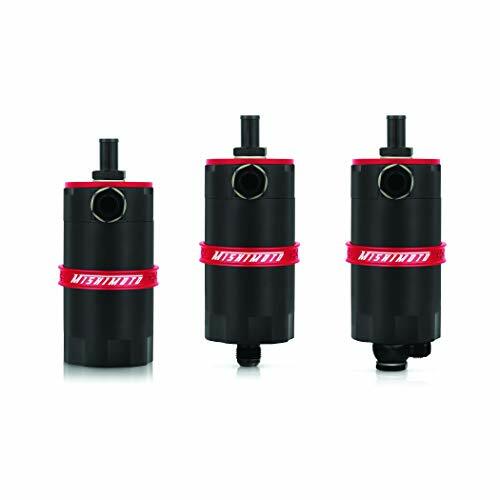 It employs an actuator piston that is 25% larger than our standard themostat and 55% larger than competitive products. This larger heavy piston duty delivers one and one half times as much power as competitive stats for enhanced durability and longer life. 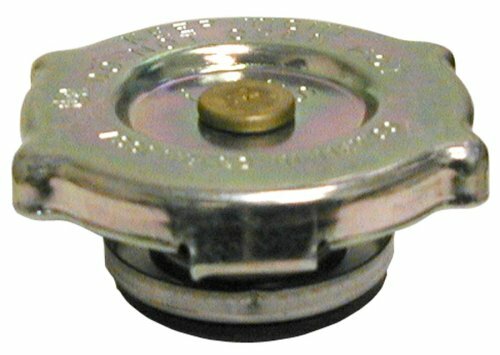 The flange on the SuperStat is 33% thicker than our standerd product and 43% thicker than competitor's themostats for added strength and longer life.The operating spring is 50% stronger than on standard themostats. 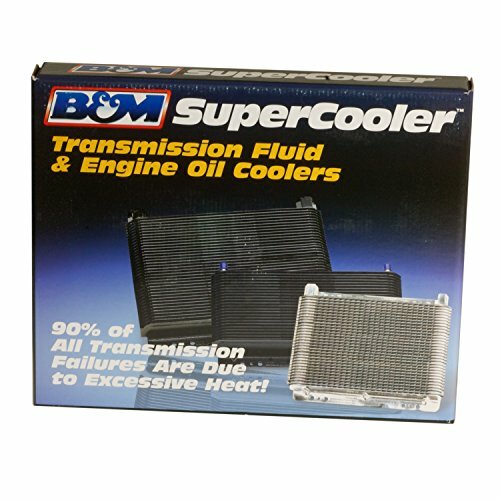 This helps return the Superstat to the closed position and provent cold running even under the most adverse operating conditions. 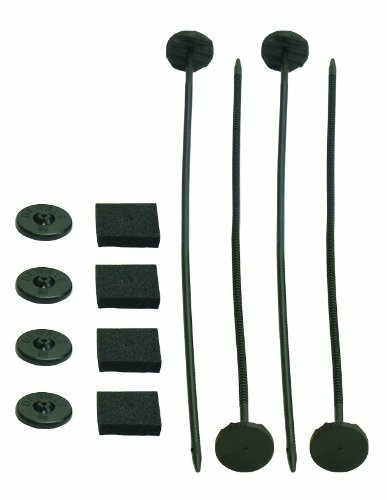 These sturdy nylon electric fan and transmission cooler installation kits include 4 plastic rods, 4 clips, and 4 foam mounting pads to provide a solid trouble-free and installation-friendly method of securing an electric fan, transmission or engine oil cooler to any vehicle. This newly redesigned adjustable electric fan thermostat kit is designed to activate up to 2 fans with a total maximum draw of 25 amps. 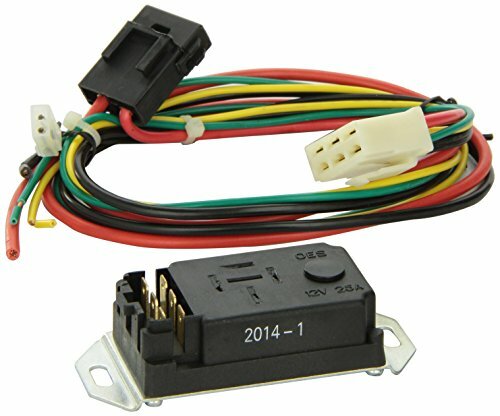 Includes a push-in radiator probe, relay wire harness and electrical connectors for an easy installation. A/C override circuit included. 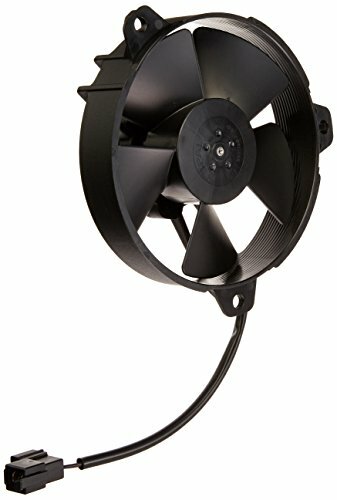 Adjustable fan controller turn-on range from 150 degree farenheit - 240 degree farenheit, and turn-off preset at 10 degree farenheit lower than turn-on. 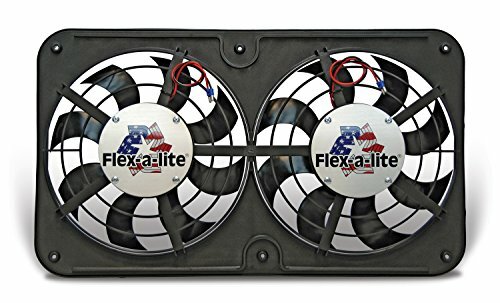 The Flex-a-lite Lo-Profile S-Blade Dual Electric Puller Fan is designed to offer optimum cooling for situations where clearance is an issue. 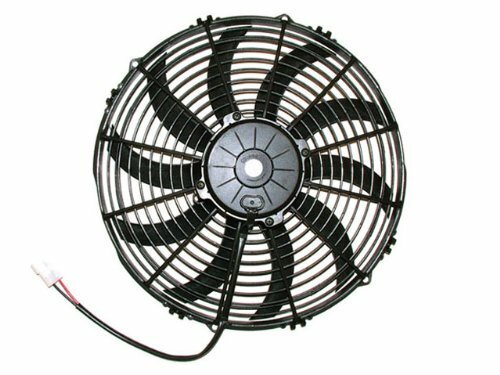 At just 2 5/8 thick, it is one of the lowest profile fans of its kind on the market. Mishimoto is proud to announce the release of our Baffled Oil Catch Can.With over a year of research and development time, Mishimoto has created the most effective oil catch can on the market.The Mishimoto Baffled Oil Catch can was designed to separate oil particles from the PCV air that would normally have just been routed back to your intake.Custom grooves in the catch can's inlet turbulates the air longer and ensures all the oil sinks to the bottom of the can, leaving nothing but clean air to pass through the 40 micron bronze filter to the intake.An internal baffle keeps the collected oil from splashing around under race conditions.The 100% billet, 6061 aluminum can accepts "AN fittings at the intlet, outlet, and drain area allowing over 25 possible configurations.For maximum fitment options, the top cog mounting setup allows the can to be mounted from multiple angles.To make maintenance easy, the drain plug can be removed to allow for "AN return to the oil pain.The can is also 100% washable, unlike many other cans that require you to replace your filtration system.The Mishimoto Baffled Oil Catch Can is available in a variety of colors as well, so it will be sure to match your style and taste! Like most people, you probably think all thermostats are alike. But Stant brand thermostats are different. They're the thermostats you ask for by name. And the superiority of Stant thermostats shows in the way they consistently outperform the competition. They are, quite simply, the best engineered thermostats in the world and here's why. 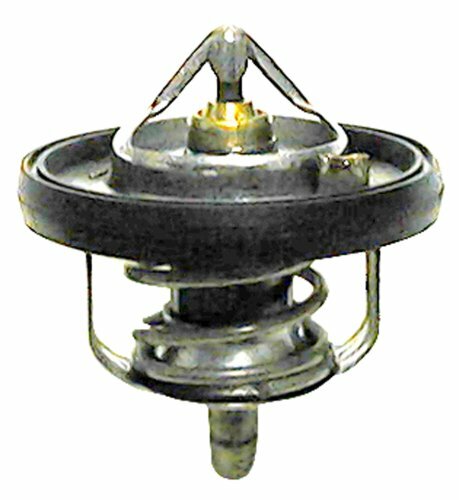 The heart of the Stant brand thermostat is the ELAC heat motor. 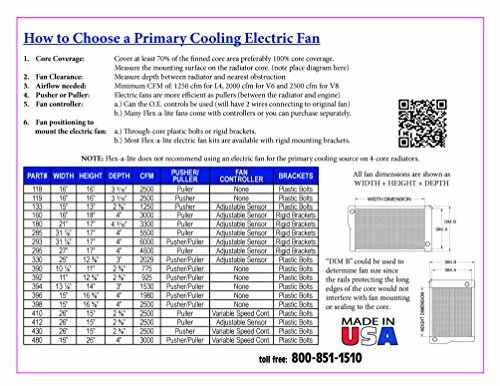 The unique properties of the heat motor result in a consistent and precise response to the cooling system's needs. This is achieved through the use of a precisely formulated, thermally expansive wax fill that is calibrated to operate within OEM requirements. 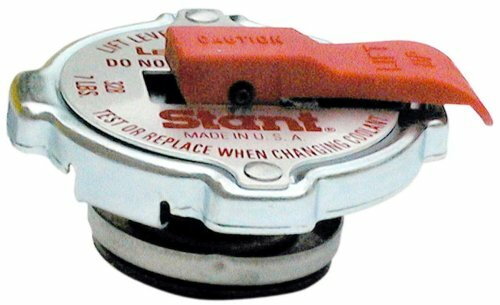 The Stant heat motor is powered by a precisely formulated thermal responsive wax pellet in a heat conducting copper cup equipped with a stainless steel piston inside an elastomeric boot. The exact length of the stainless steel piston assures the prompt and precise operation of the thermostat valve. Each manufacturing process is rigidly controlled with world-class quality controls. Then a 100% calibration is conducted for each heat motor to guarantee quality and performance. Finally, the heat motor is placed in a stainless steel assembly consisting of a valve, flange, bridge and spring. 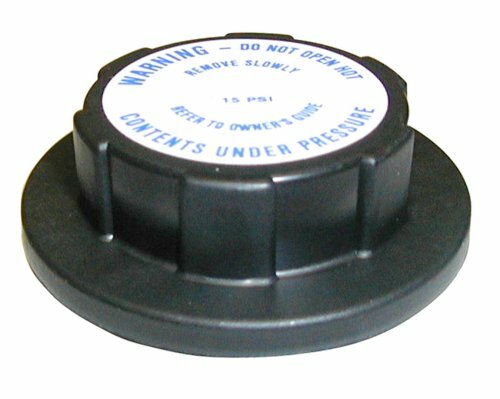 The completed assembly provides a securely sealed, heat responsive valve that keeps engine temperatures within original equipment specifications. 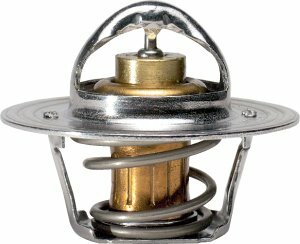 Our reverse poppet thermostats are engineered with a self-cleaning, self-aligning stainless steel valve. It's no wonder Stant is the original equipment choice of many automakers. So why take chances with anything less? Buy the world's best engineered thermostats from Stant. 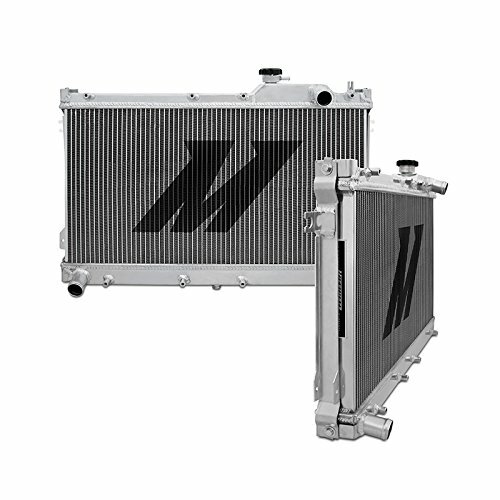 By replacing your current Miata radiator with a Mishimoto performance aluminum radiator you will undoubtedly notice a cooler more efficient running engine.All Mishimoto Mazda Miata performance aluminum radiators are designed and engineered to maximize cooling efficiency, protect your car from the overheating, and boost overall engine functions.With its lightweight dual core, 100% brazed aluminum, and polished tank ends installing a direct OEM fit Mishimoto radiator is effortless, no cutting or modification is required.All Mishimoto radiators come with a high pressure 1.3 bar Mishimoto radiator cap and a great .Check out the Mazda Miata hose kit, for even greater cooling efficiency. Spal 30102044 13in Puller Fan Curved Blade 1777 CFM. Product Dimension (LxWxH): 18.4x4x17.3.